Varicose vein treatment can be performed quickly and effectively to help treat people who are suffering from varicose vein disease. Varicose vein disease affects 24 million people in the United States alone. If you are suffering from varicose veins, it’s important to realize that if varicose vein treatment is not performed at the early stages of this progressive disease, you could experience varicose vein rupture and extreme leg pain and discomfort. Varicose veins are the blue or purplish enlarged veins you typically see bulging out of one’s leg. Any vein in your body may become varicose but varicose veins most often exist in the legs and feet. Varicose veins occur in the legs and lower extremities most frequently because standing and walking increases the pressure in the veins of the lower half of your body. This increased pressure puts stress on the vein walls in your legs and cause them to bulge and become varicose. Some people do not experience any discomfort with varicose veins. But many people may experience achiness or a heavy feeling in their legs, as well as burning, throbbing, muscle cramping, swelling in the lower legs and itching around one or more of the veins in the legs. What causes varicose veins in legs? High blood pressure inside your superficial leg veins is one of the causes of enlarged and painful varicose veins. The veins in our legs carry blood back up to the heart. There are little valves inside the vein that prevent the blood from flowing downwards and gathering in the legs. The problem starts happening when high blood pressure in the vein damages the valves, making them weak. Once the valves are weak, blood flows downwards and accumulates in one area of the vein causing the vein to bulge, which is a varicose vein. Other causes of varicose veins in legs include having a family history of varicose veins, being overweight, not getting enough exercise, smoking, standing and sitting for prolonged periods of time, or having a DVT (Deep Vein Thrombosis) in the leg. Statistically, there are more cases reported of varicose veins in women than there is varicose veins in men, however, it typically affects both women and men between the ages of 30 and 70. In women, the risk of developing varicose veins during pregnancy is even higher because as the uterus grows, it results in additional pressure on their major veins, which in turn causes additional pressure within the leg veins. Also, the increased progesterone levels in pregnant women as well as the increased amount of blood in their body puts an additional strain on their leg veins. Some women develop large varicose veins during pregnancy, but the veins usually return to normal size within one year after child birth. Women who have multiple pregnancies have a higher chance of developing permanent varicose veins. Varicose veins are very dangerous because blood clots have a higher chance of forming inside your bad varicose veins. And once you develop a blood clot, you can suffer permanent vein damage that can eventually cause leg ulcers and wounds that will not heal. The biggest danger with a blood clot is that, it can travel to your lungs, which could cause severe health risks or even death. Varicose vein removal is the only way to eliminate your bulging varicose veins that can have so many negative effects on your health, appearance and overall quality of life. 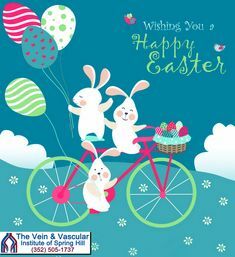 There are many varicose vein treatment options at The Vein and Vascular Institute of Spring Hill. Our Board Certified Vascular Surgeons are dedicated to providing our patients with the most technologically advanced procedures, with an understanding that each patient’s cosmetic and health issues are personal to the individual. Our vein doctors perform a modified and minimally invasive laser closure technique that does not require sutures or staples, and only the diseased veins are removed. This more advanced vein surgery technique called Endovenous Laser Ablation (also known as EVLT) is preferred since it leaves minimal or no scarring on your legs. During ablation vein treatment a thin catheter is inserted into the vein through a small incision. Then, through the catheter, laser energy is transmitted to the vein wall, causing it to heat, cave-in, and seal shut. Over time, the vein eventually dissolves into the surrounding tissue. This laser vein treatment procedure only takes about 45-60 minutes, however, including pre-treatment and post-treatment procedures you should plan to spend a total of 2 hours in our office. Local anesthesia is used to numb the treatment area. Some patients report that they experience minimal pain during and after the procedure, but the majority of patients feel no pain at all. Following laser varicose vein treatment patients are actually able to walk right out of the treatment room. Sclerotherapy for varicose veins is another treatment to safely and quickly remove your varicose veins. Sclerotherapy is performed by simply injecting a saline solution directly into your affected veins. Usually, the sclerotherapy procedure can take anywhere from 15 to 30 minutes per session. The number of veins injected in one session varies depending on the size, quantity, location of the varicose veins, as well as the general medical condition of the patient. Like laser vein treatment, sclerotherapy causes the vein walls to collapse and stick together, safely closing the vein permanently. The closed vein becomes scar tissue that fades away, making your varicose vein disappear, leaving your leg looking its best, with smooth skin and minimal to no scars. Immediately after varicose vein surgery, patients will have their legs wrapped with a compression bandage. They are advised to elevate the leg and rest for the first day. The following day, our patients are usually able to return to work and normal activities, free of swelling and pain. It is also recommended to avoid strenuous activity and to wear compression stockings for two to three weeks following the vein surgery. One of the things that most concerns our patients and may prevent them from getting the treatment done is the varicose vein surgery cost. It is important to realize that varicose veins are not just a cosmetic issue and that they are a serious medical condition that should not be left untreated. Our patients are always pleased when they find out that varicose vein surgery is covered by most medical insurance carriers. Unfortunately, many cosmetic centers offer vein treatments that may be excessively priced, out-dated, and not as effective as procedures offered at The Vein and Vascular Institute. Traditional stripping and ligation has been the mainstay of surgery for large varicose veins, with smaller veins removed surgically as well. This has been basically abandoned by The Vein and Vascular Institute. At our vein institute, our entire focus is on the health of your vascular system, so vein and artery treatments are our specialty and all our vein experts are extensively trained in vein removal procedures. That is how we are able to offer the most cutting-edge, safest and most effective varicose vein removal treatments available anywhere. That is why when you decide to have your varicose veins treated at The Vein and Vascular Institute of Spring Hill, you can be confident and rest assured that you are getting the best possible care. If you are suffering from varicose veins and if you are looking for the most qualified, highly trained Board Certified Vascular Surgeons in the Spring Hill, Florida area who can safely and painlessly remove your veins using the latest technology and techniques available anywhere, then you can give us a call at (352) 505-1737 to schedule a vein consultation.